The Future of "Asian Premium"
Home / Asia / Business & Economy / China / India / Oil & Gas / OPEC / The Future of "Asian Premium"
On April 10-12, 2018, the Government of India hosted 90+ delegations including 50 energy ministers, 30 CEOs, 12 heads of international organisations and 500+ guests at the 16th biennial International Energy Forum Ministerial Meeting (IEF16) in New Delhi with the support of the People’s Republic of China and the Republic of Korea as co-hosts. The meeting was held under the theme: "The Future of Global Energy Security - Transition, Technology, Trade, and Investment". 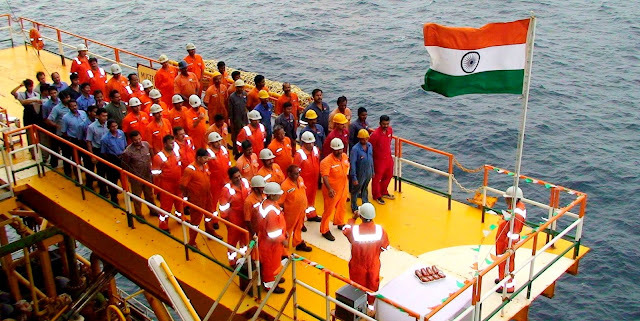 During that event, India's Union Petroleum Minister Dharmendra Pradhan has said the country will coordinate with China and other Asian countries to voice against the "Asian Premium" being charged by the Organisation of the Petroleum Exporting Countries (OPEC). Asian Premium (dates back to practices beginning in the 1960s) is extra charge being collected by OPEC countries from Asian countries when selling oil in comparison to western countries. The discriminatory Asian Premium is mainly used by OPEC countries to subsidized western buyers at cost of Asian buyers. In particular, this premium became increasingly pronounced as a result of the shale gas revolution in North America and its knock-on effects in Europe, where the displacement from 2008 onward of new supplies of LNG originally intended for the U.S. market effectively triggered a disconnect between the prices generated by the traded markets and the oil-indexed prices that had until then predominated in the long-term contracts that accounted for the great majority of the gas being supplied into continental Europe. "We are all concerned about having a responsible price mechanism. We don’t expect low oil prices anymore, and we know what are the limitations and challenges for the long-run: a decrease in exploration and production activities, low capital expenditure environment," Pradhan said. Since 2015, Pradhan has made repeated demands to the IEF countries to remove the so-called Asian premium. However, the demands have met with little success and the issue was raised on the sidelines of the event. The first reason is the very notion, that countries such as Saudi Arabia and other Gulf states such as Kuwait supply a relatively high level of oil exports to the U.S. and Europe to maintain market share for political objectives, such as the presumed benefits of military and political support in the conduct of international relations. This notion implies that the "Asian Premium" is effectively a "North Atlantic Discount". That is, the exporters view any financial losses from their regional allocations as an insurance premium for perceived political risk coverage. Second, it has also been argued that regulatory barriers in Asian energy markets could be one of the factors behind crude oil importers' willingness to pay higher prices than their counterparts in Europe and the U.S.. If, for example, government-owned crude-oil procurement companies value perceived "security of supply" as a risk-management practice, they may be willing to pay rates at the margin which exceed those that international oil companies are willing to pay in Europe and the US. A third reason often cited as the cause of the Asian Premium is in opposition to the geopolitical one cited above. The notion is that large crude-oil exporters can increase revenues through regional price discrimination, segmenting markets among end-users by using resale-restriction clauses in sales contracts . In 2015, the slump in the price of oil led to the effective elimination of the Asian premium on quantities of LNG supplied under the long-term contract, following up on the disappearance of this premium from the much lower volumes supplied under shorter-term, market-based arrangements. While this served to bring Asian prices in line with European prices and to massively reduce the premium over prices in North America . Even if the market-driven low prices or artificially-pumped up higher prices being enjoyed currently do inevitably reduce the incentive for change, Asia’s gas market, with China leading the way, is unlikely to be deflected from pursuing its path to becoming, just as has happened in North America and Europe, a “normal” commodity market. In these regions, the price reflects the fundamentals of supply and demand, and in the process enables gas to compete for market share on equal terms with other energy supplies. We would indeed suggest that this is an essential condition for allowing gas to realize its potential. If the pricing dynamic effectively prevents gas from pricing itself into the market, and particularly into the key power sector, as happened in Europe in the first decade of this century, that potential is unlikely to be fulfilled. As things stand, OPEC and 10 producers outside the cartel have been holding back oil output by around 1.8 million barrels a day since the start of last year. The deal is set to expire at the end of 2018, but Saudi Arabia—the de facto head of OPEC—has indicated the participants could continue to hold back output into next year. This was the first time since 2001 that OPEC and some of its rivals had reached a deal to jointly reduce output to tackle the global oil glut. But, the answer to the question is dependent on what happens to oil prices in the future. One scenario is that the current volatility will prove temporary, and once this weakness has choked off further growth in U.S. shale oil production as well as other high-cost sources of production, as the OPEC and Saudi Arabia hope, the oil price will return to, or close to, 2012-2013 levels. In that case, in the absence of any change to current pricing structures, the Asian premium has every chance to remain in existence, given that prices in North America and Europe are now firmly based on the fundamentals of the gas business and will accordingly tend to reflect the long-run marginal cost of gas supply over time. This cost, in turn, is likely to remain well below a $100/barrel equivalent. A different scenario is that a combination of factors, including structural weakness in oil demand and a general lowering of the cost of supply curve (notably for shale oil), will ensure that any recovery in the oil price is rather limited. In such a case, the Asian premium will itself be restrained, if indeed present at all. In the 7th Asian Ministerial Energy Roundtable, Pradhan delivered a speech at Welcome Dinner (Nov 1, 2017)  - "As it should be in a perfect market economy, there is today a very large number of producers of oil and gas across the globe promoting free market pricing. This has led to a shift of the traditional center of gravity in the world of oil and gas. The role of OPEC is gradually changing from price determination to price stabilization. While the world is witnessing this phenomenal change, it is in our mutual interest to play a constructive role in promoting responsible pricing, building infrastructure, removing distortions such as Asian Premium for oil and destination clause and oil price linkage for gas." Asia is becoming a dominant buyer’s market, whether its oil or natural gas, and consumers are finding a new impetus to push for sweeter deals as their options for suppliers grow, like, on March 30, 2018, India got is first U.S. LNG shipment at Dabhol. Buyers aren’t just looking to break from oil-linked contracts, they’re also pushing for the right to re-sell the gas they import, an important step towards spot pricing. So, if Asia isn’t going to continue paying top dollar for its petrol energy needs, producers around the world are going to have to work that much harder to stay profitable or perish. India is destined to become one of the largest contributors to non-OECD petroleum consumption growth globally. In October 2017, the oil imports rose sharply year-on-year by 27.89 percent to US$ 9.29 billion. Overall, country's oil consumption grew 8.3 percent year-on-year to 212.7 million tonnes in 2016, as against the global growth of 1.5 percent, thereby making it the third-largest oil consuming nation in the world. When it comes to Liquefied Natural Gas (LNG) import, India is the fourth-largest after Japan, South Korea, and China, and accounts for 5.8 percent of the total global trade. Domestic LNG demand is expected to grow at a CAGR of 16.89 percent to 306.54 MMSCMD by 2021 from 64 MMSCMD in 2015. The country's gas production is expected to touch 90 Billion Cubic Metres (BCM) in 2040 from 21.3 BCM in 2017-2018 (Apr-Nov). Gas pipeline infrastructure in the country stood at 16,470 km in September 2017. R. Soligo, A.M. Jaffe, "A note on Saudi Arabian price discrimination", Energy J., 21 (1) (2000).